No.5 is located on Merrion Court, just off Merrion Row, in the bustling Dublin 2 neighbourhood. 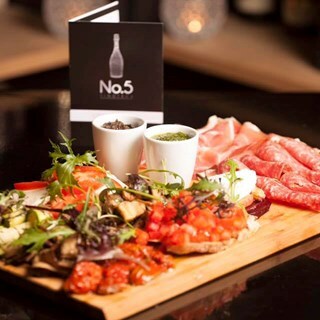 No.5 is the perfect venue for occasional parties including engagement celebrations, 30th/40th/50th, christenings and corporate bookings. This piano bar is also available for event and private hire, and can host private dining exclusively for up to 36 persons on the first floor with menus provided by neighbouring restaurant, The Unicorn by Florentina. Fiorenta has developed a reputation for serving cuting edge Italian cusine which was rebranded to critical acclaim. Menus can be tailored to suit all budgets. 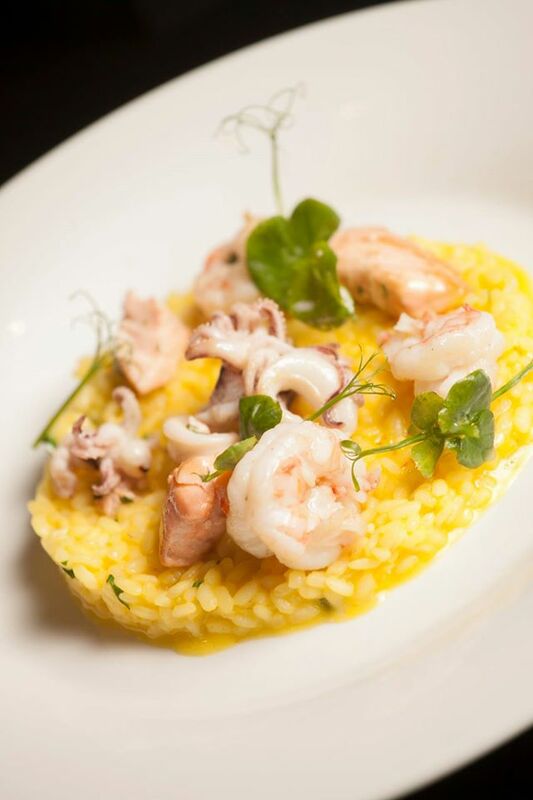 Owner, Ivano Cafolla's passion for live music is echoed throughout the secluded venue, with live artists performing every Friday and Saturday night. 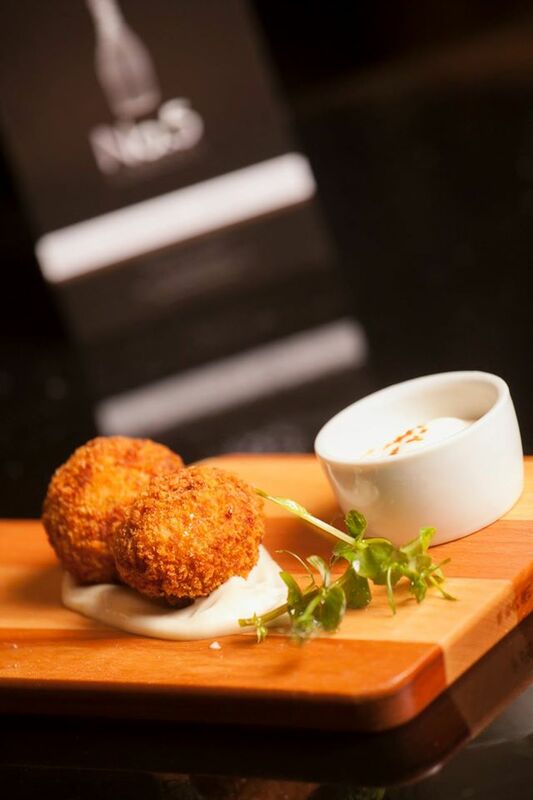 Foodies will simply melt over No 5’s contemporary Spanish cuisine. 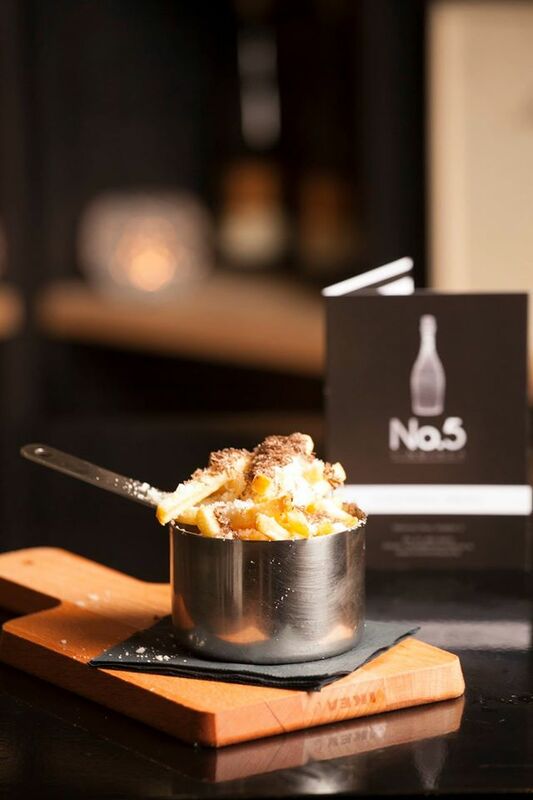 The qualities in No 5’s menu feature a collection of cold plates, supper bowls and a la carte menu, all prepared using local artisans produce. The signature Iberico Ham can be seen on display in the main bar, why not pop in for Pata Negra and glass of wine?! 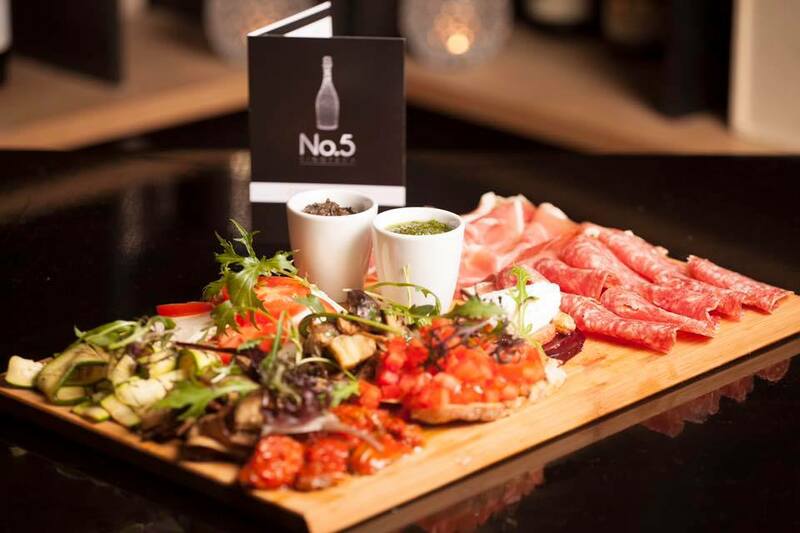 With a secret garden welcoming guest upon arrival in the heart of Dublin’s city centre, No 5 truly has the perfect setting for customers to enjoy their drinks in style. The garden is fully covered and heated so is sure to keep customers happy during an ever changing Irish winter! I booked a table to arrive and find that the restaurant was closed. The whole night was excellent. All of my friends loved the venue. We will be back! The staff in particular made the night very special. all good, food, music, service etc, well done guys! Had a brilliant birthday dinner here on Saturday night. The staff were lovely, food was great and live music and atmosphere made for a great evening. Thanks Jojo, we had a fabulous night and everyone had a brilliant time. Next time we'll bring thick socks to avoid the cold but otherwise a great night and wonderful service. We had a fantastic Christmas party for 30 people inside downstairs. The menus for both food and drinks were fab and we all adored the chips with cheese and truffle oil! Entertainment was wonderful and Jojo was very attentive before and during the evening. A review was also posted on trip advisor. I found No.5 Vinoteca to be an excellent party venue. The service and management attentiveness was amazing ( big shout out to JoJo), food very tasty and bar service friendly and fast. Also the music really adds to the atmosphere    Great musical talent on show. Amazing service and drinks. The atmosphere is very cozy and makes you feel great! Cocktail was lovely and the bottle of wine the server recommended was great. There were not many people in there so the atmosphere was a little quiet. However, the little area we were sitting at by the wine bottles was lovely. Prawns were good and so was the mushroom crostini but the squid was disappointing. Wished there was a little more choice on the menu as we ended up just ordering a second prawns. Staff were really attentive and added to the night. Prices are a little steep for tapas but all in all I would go back for the experience. Great venue for private party. Thank you for the great service! Really couldn't recommend this place enough. Will absolutely be back. Food was really tasty and very well price and the service was superb. Held our company summer barbeque here and had a fantastic night. Attentive staff, excellent food and brilliant atmosphere. Highly recommend. Great atmosphere. Food is delicious though portions may be a little on the small side. Lovely friendly staff. No 5 Vinoteca is a hidden oasis in Baggott Street. We had our end of year staff do there last Friday and already some of the staff went back for more on Saturday night and I believe they are planning another visit to celebrate a birthday soon. Everyone is raving about it. Well done James and your team. Excellent food,  cocktails and wine.. Perfect for girls night out,  romantic dinner for two or a group of friends! Excellent venue, food, staff and atmosphere. Thoroughly recommend it. We had a wonderful work event - could not fault a thing - will be back! Fantastic service and atmosphere. Wonderful staff. 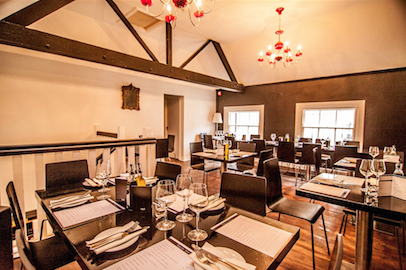 Recently booked a Friday night group dinner at No.5 Vinoteca. Positives: Buzzy atmosphere, tasty reasonably priced food & central location. The only negative, but a big one - was that we were waiting to be seated for over an hour. While quite a laid back bunch - an hour was an unacceptable wait, during which time we were left standing in the crowded bar area without any info. Would recommend having more staff at bar + on site and a more organised approach to bookings in order to avoid having situations like this arising again. Great night here. Would highly recommend it.